✔️ JumpGa Fitness Yoga encompasses the five elements of fitness; cardiovascular, balance, strength, flexibility and mobility. ✔️ Keep an eye on your diet: If weight loss is your goal, never go hungry, but avoid high-calorie food rewards (we’re talking sugary snacks) and oversized meals. Good post-workout snacks a protein smoothie shake or yoghurt and fresh fruit. ✔️ It’s not enough to do a single intense workout then expect to be faster, fitter, stronger. When it comes to seeing results consistency is the key that make your body faster, fitter, stronger. ✔️ Keep an eye on your diet: If weight loss is your goal, never go hungry but avoid high-calorie food rewards (we’re talking sugary snacks) and oversized meals. Good post-workout snacks a protein smoothie shake or yoghurt and fresh fruit. CHAMPNEY’S (UK’s most iconic spa) Wellness Director, Louise Day says: “I see more fitness choices available than ever before. HIIT or resistance workouts? Calisthenics or virtual boxing? Wellness or mindfulness? Group fitness classes have evolved markedly in recent years, and this is reflected in the wide range of group classes we offer. My job is to choose a training programme that has a future and will impact on people’s physical and mental fitness. 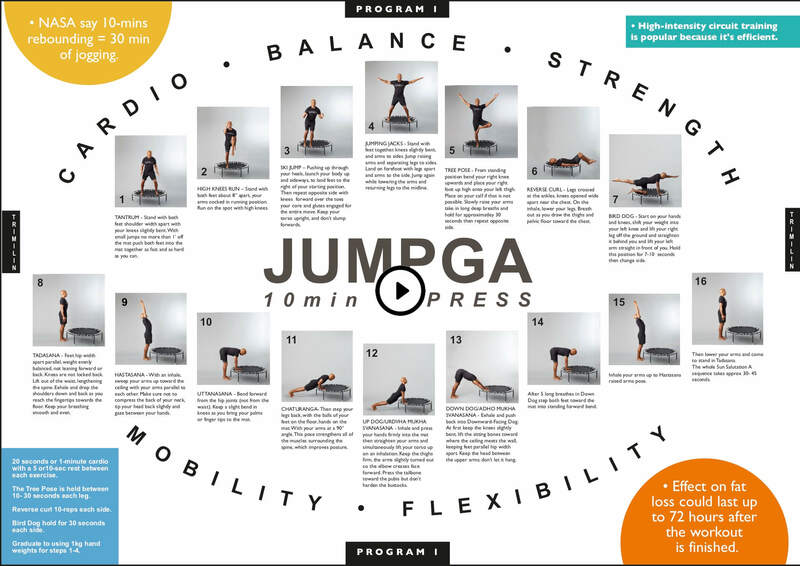 I see JumpGa as the complete training programme that will take exercise to a new level: because it’s a total body programme, that can be adapted to all ages and levels of fitness”. 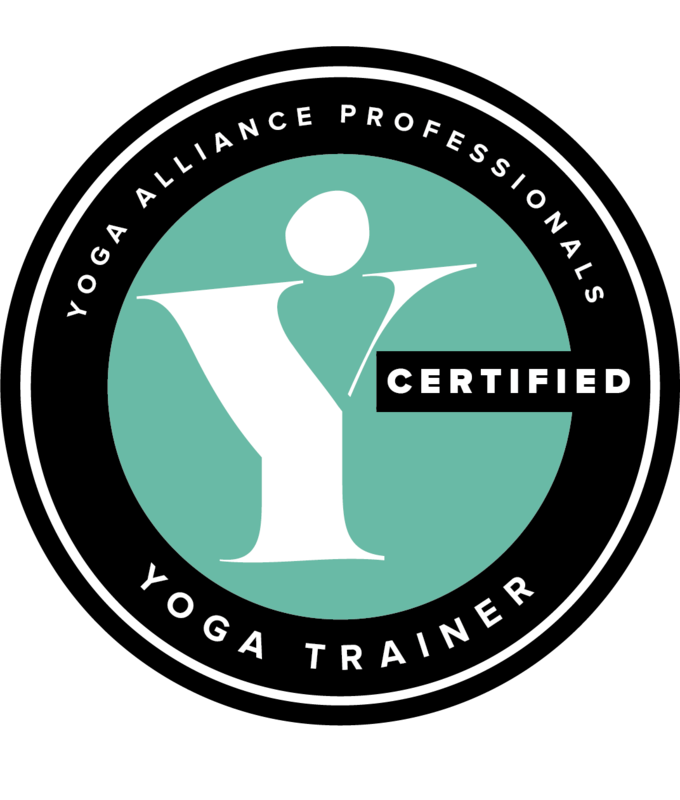 JUMPGA the FITNESS YOGA hybrid is endorsed by the Yoga Alliance Professionals. It is the closest you will get to an exercise pill. It improves functional movement, cardio, strength and flexibility. It was originally developed by Wayne Lèal for ‘SUPER-AGERS’ and rehabilitating athletes: a low impact, full body weight-bearing exercise to boost optimal fitness. Now it has become a hugely successful home training programme. Birthday candles may define you as 40; but it doesn’t mean that your body has aged inside by the same amount. 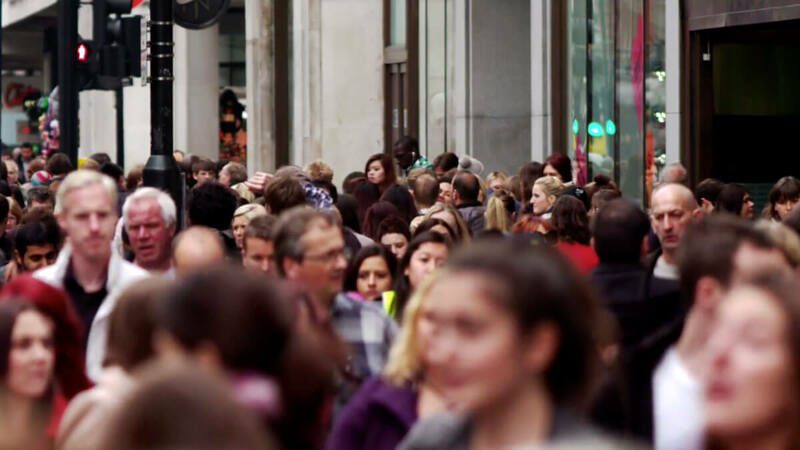 It’s possible to be biologically younger than your actual age, depending on your diet, fitness, and lifestyle. “MY FLEXIBILITY AND CORE STRENGTH HAVE ROCKETED"
TRANSFORMING YOUR PHYSIQUE takes hard work and dedication, but ask anyone which part of their body they would like to tone and strengthen and the answer is inevitably their abs. Doing the JumpGa fitness yoga sequence for just 10 minutes a day can improve your body-shape in as little as six weeks. With minimal space, you can produce molecular changes in muscle similar to going for a long run and lifting weights in the comfort of your own home. The fitness routines are made up of High-intensity movements performed in 30-second intervals. Core strengthening moves and a yoga sequences to get you into your best shape ever in record time. “My go-to exercise was Plank-Press. Plank-Press: is a body-altering, core-stabilising exercise that was developed especially so that Darren Barker’s core strength could withstand whatever body shot was thrown by his opponents. The Plank-Press exercise (a plank, press-up hybrid) is as close to a perfect exercise as you can get. It works the entire core – the large collection of muscles (including the abdominals) which stabilise the spine – in a way that few other moves can touch. There is an emphasis on body alignment and posture so that your muscles work in harmony with one another. Unlike some other core exercises that involve bending, flexing or twisting motions, Plank-Press exercise is a saviour for people with low back pain. With each micro push on the rebounder you create a plyometric effect which forces muscles to rapidly contract and relax, increasing their power and muscular explosiveness. When working together the contraction and relaxation activate not only the core but all 638 of your muscles; strengthening and toning them naturally and efficiently. Plank-Press: created by Master Yogi Wayne Lèal. This is a body-altering, core-stabilising exercise that was developed especially so that Darren Barker’s core strength could withstand whatever body shot was thrown by his opponents. The Plank-Press exercise (a plank, press-up hybrid) is as close to a perfect exercise as you can get. It works the entire core – the large collection of muscles (including the abdominals) which stabilise the spine – in a way that few other moves can touch. There is an emphasis on body alignment and posture so that your muscles work in harmony with one another. Unlike some other core exercises that involve bending, flexing or twisting motions, Plank-Press exercise is a saviour for people with low back pain. Get in the best shape of your life with just 30 minutes exercise a week at home. MOST OF US aware of the undeniable health benefits of regular exercise. Sadly, lack of discipline – explains why so many fitness goals fail. Lack of time is the reason why most people give up. 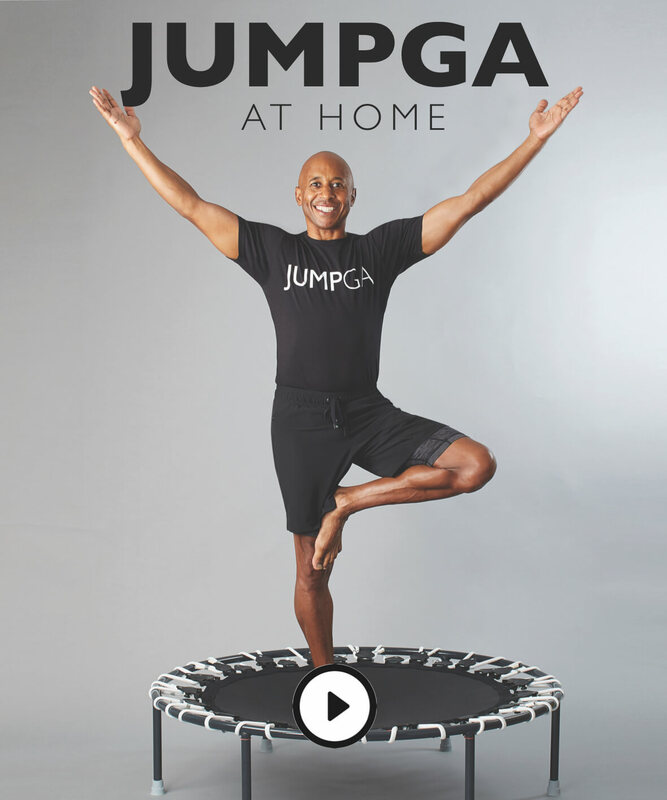 The JUMPGA at HOME programme is an effective and convenient way to get fit. The only equipment you need to do rebounding exercise is a JumpGa rebounder and a small space. It is insanely good exercise and may be the very best workout for people who hate to exercise. JumpGa rebounders are manufactured in Germany by Trimilin the most experienced rebounder manufacturer in Europe. They feature folding-legs, a long life specially fabricated jump mat. Superior quality suspension with excellent craftsmanship. The stitching of the highly elastic jump mat utilises a special yarn to ensure longevity. Unlike conventional cables which are only wrapped in a thin textile coating, JumpGa cables are coated with multiple layers of highly elastic synthetic fibres for unparalleled longevity.